Interesting book, for the most part – it’s basically a point by point treatise on how a good leader will conduct wars. It’s not at all pro-war – actually, Sun was often against war – but if you have to fight, then fight to win. These are the principles. Most of the printed editions those days use some kind of annotation or explanation below the point. Those are sometimes interesting, often dull as dirt. My favorite chapter was probably the last one – on spies. 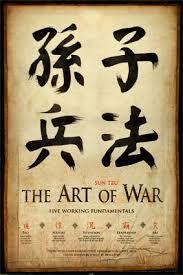 I am curious as to why this book would be interesting to businessmen – is business war? I don’t like that. The same way they read Machiavelli, I guess.